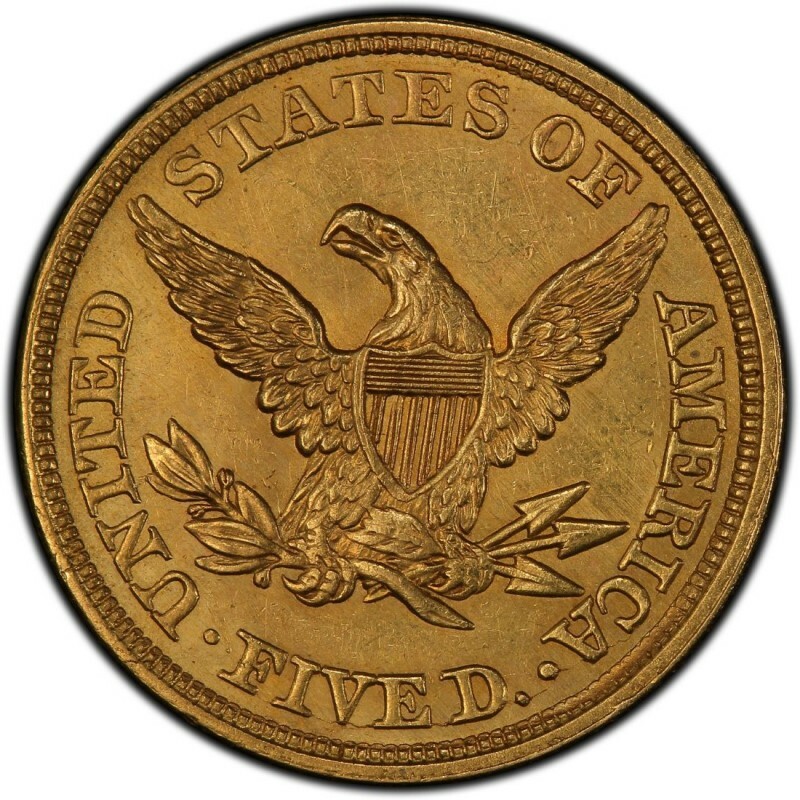 1848 Liberty Head $5 half eagle gold coins are available in three varieties, counting the Philadelphia, Charlotte (C), and Dahlonega (D) issues. While all 1848 Liberty Head half eagles are considered scarce, the Charlotte and Dahlonega issues are certainly rare today than the Philadelphia issue. This is due to much lower mintages for the two branch mint issues and even lower surviving numbers. 1848 Liberty Head half eagles were designed by Christian Gobrecht, who also designed the silver Liberty Seated coins of the 19th century. Because Liberty Head half eagles are historically significant, they are largely purchased by numismatists. While Liberty Head $5 coins contain 0.24187 net ounces of pure gold, they carry a very high price premium over their bullion value. This makes it impractical for bullion investors to buy these coins strictly for their gold content, thus why the largest sector of the Liberty Head $5 gold coin market is collector driven. 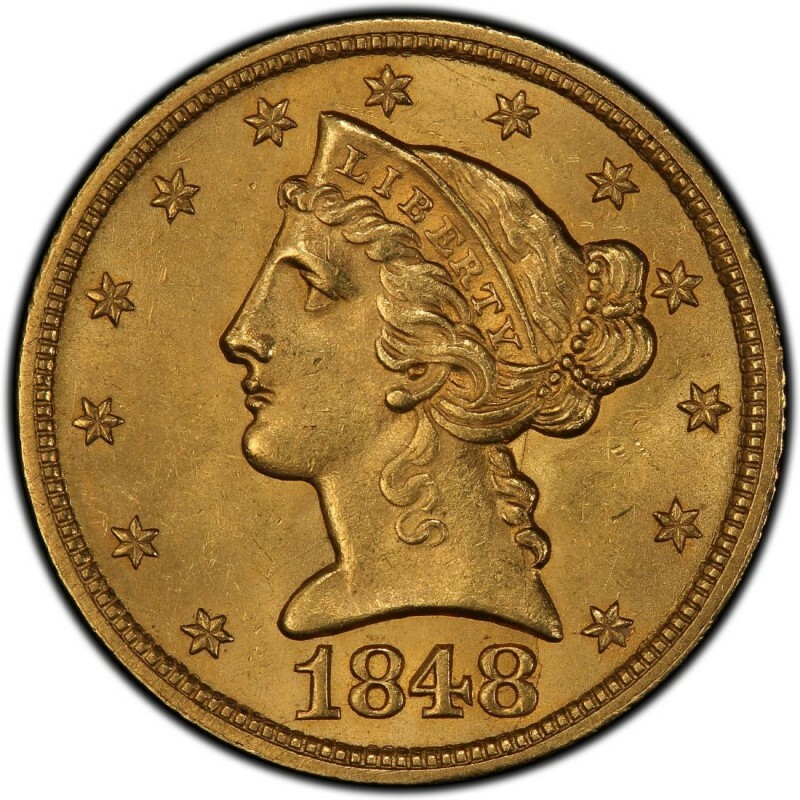 In addition to 1848 Liberty Head half eagles, all other 19th-century gold coins have a similar market breakdown, with the majority of demand for these coins coming from numismatists. 1848-C Liberty Head $5 Gold Half Eagle F15 NGC - Very RARE Key Date! 1848 C 5 Dollar Half Eagle NGC XF-45 Charlotte Mint!